All online dating sites know how important it is to protect their users. 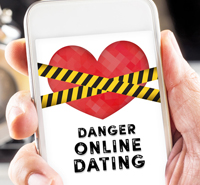 That’s why bulking up security measures to prevent online dating scams has been a huge focus and priority over the past several years. And while technology can make online dating a safer experience, there isn’t a better security measure than your own intuition. A nice profile and a good dose of charm doesn’t mean real love. Do a reverse Google image search to find out if their name matches their face. Look the person up on Facebook to see that they have friends and a real profile. Check out their LinkedIn to make sure their career lines up with what you’ve been told. You don’t need to perform a full background check, just enough to make sure the person checks out. Note that many dating sites, like Jdate and Elite Singles, will offer a direct link to users' social media profiles, making it further easier to tap into potential matches' profiles (for reassurance and fact checking purposes only, of course...). Zoosk Photo Verification is a review process that ensures the profile photos used by members actually look like the people that upload them. To do this, users send in a 7-second “selfie” video that moderators review and compare to the profile. Once everything matches up, the user will receive an email informing them that a Photo Verified badge is added to their Zoosk profile. This notifies other members that the user is in fact real. matchTalkTM allows match.com members to talk on the phone without disclosing their personal information. That means that if you want to talk with someone you’ve been messaging with, you can do so without revealing your contact information. This helps to keep you or any match.com user that much safer. When choosing a dating site, factor in security. An easy way to check on the site’s security is to look for ‘https’ at the beginning of the URL. The ‘s’ - which stands for ‘secure’- means a protocol to encrypt communications has been implemented. This is especially important for those logging in from unsecured networks - like a coffee shop. 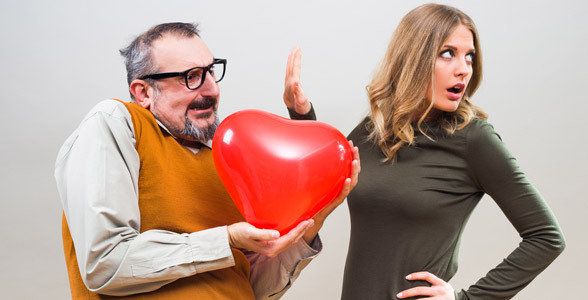 One of the online dating pioneers for this type of security safety was the senior-specific site OurTime​, but most others have since followed suit. Now that you’ve learned how to keep yourself safe, discover which site you should do it on by comparing our top dating sites right here!